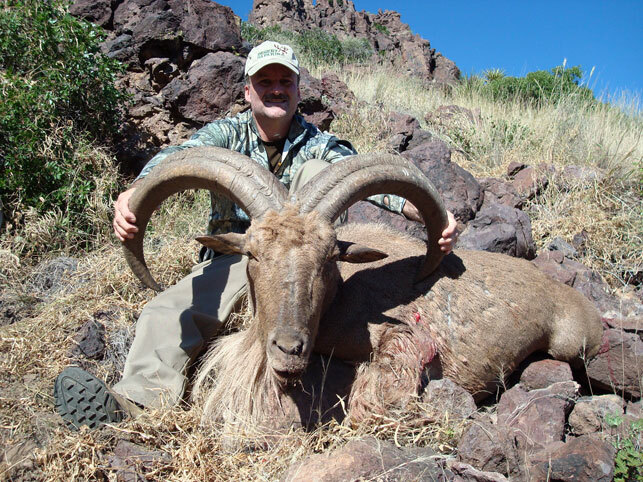 Indigenous to the Atlas Mountains and Barbary Coast of Northern Africa, aoudad sheep, commonly referred to as Barbary sheep, were introduced into the Northern Panhandle and Trans-Pecos mountain regions of Texas in the late 1950's in an effort to establish a new big game hunting opportunity. 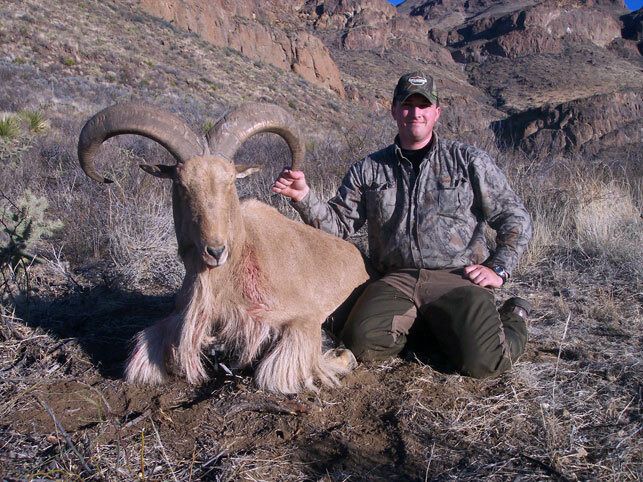 Aoudad sheep are well adapted as both a browser and grazer to the arid and remote regions of the state. 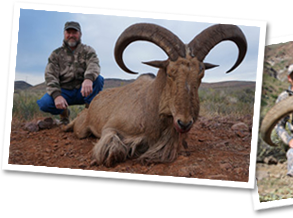 They have since flourished from a few dozen animals during release period to well over 25,000 free ranging animals in Western Texas alone making the aoudad sheep one of the most successful exotic translocations in the history of our state. 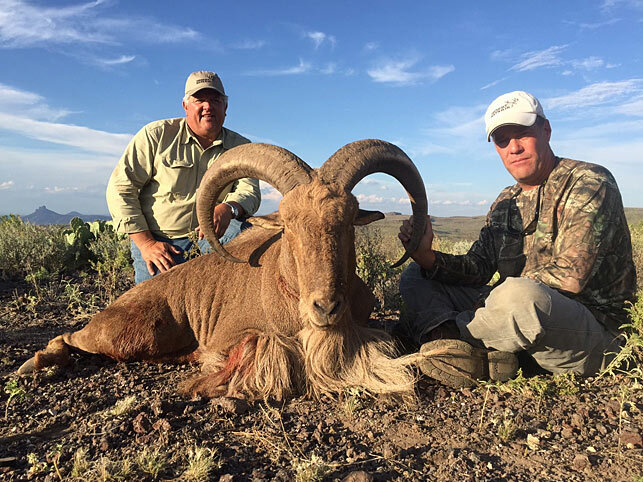 With over 315,000 acres of private ranches leased exclusively for facilitation of our sheep hunts, we have access to the most elite free range aoudad sheep habitat in Texas to offer our hunting clients. 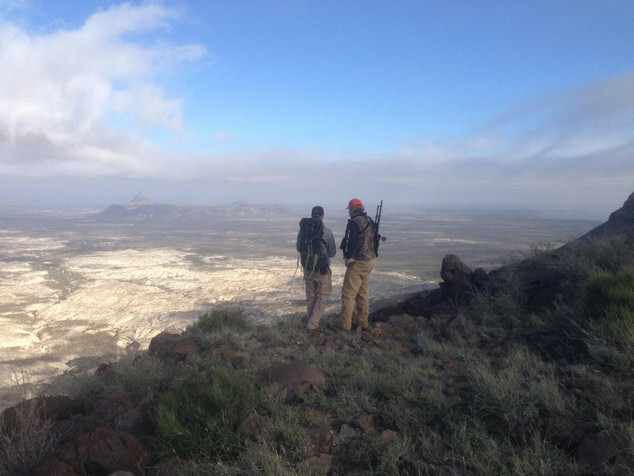 These 6 free-range ranches are located in Jeff Davis, Presidio and Brewster counties of West Texas situated in the Chinati and Davis mountain ranges. 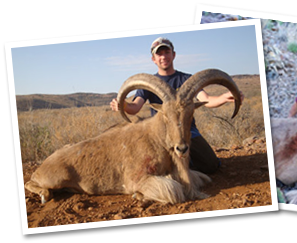 Hunts are based from well-appointed lodges with all modern amenities located on site in extremely scenic settings. 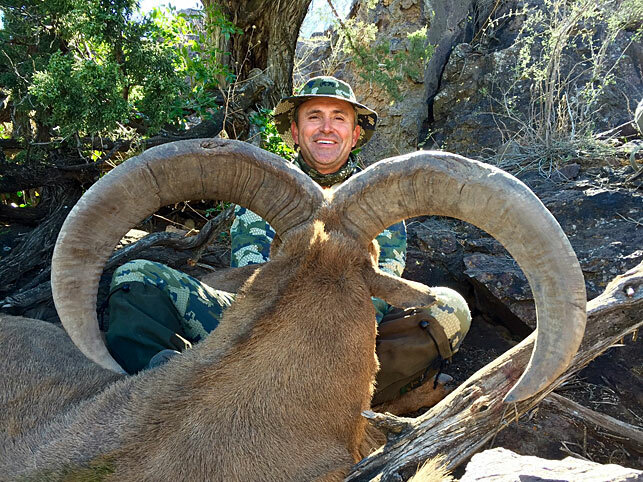 Elevations varying from 4000-7500' make these hunts a true sheep hunters delight and possibly one of the best sheep hunting values found on the hunting market today. 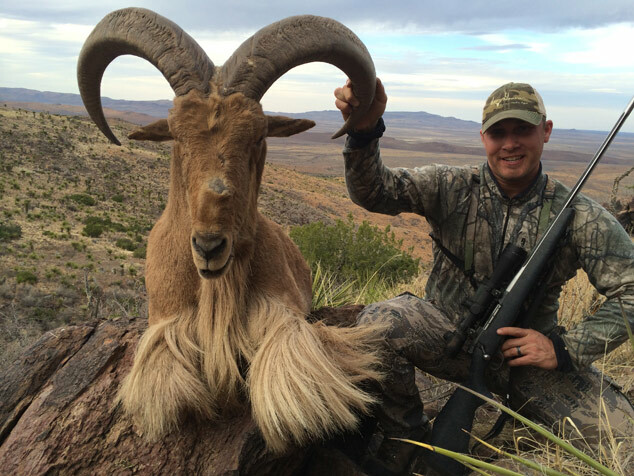 We have had countless clients who have taken the grand slam of North American and have commented that our aoudad sheep hunts rivals any of these bighorn species. 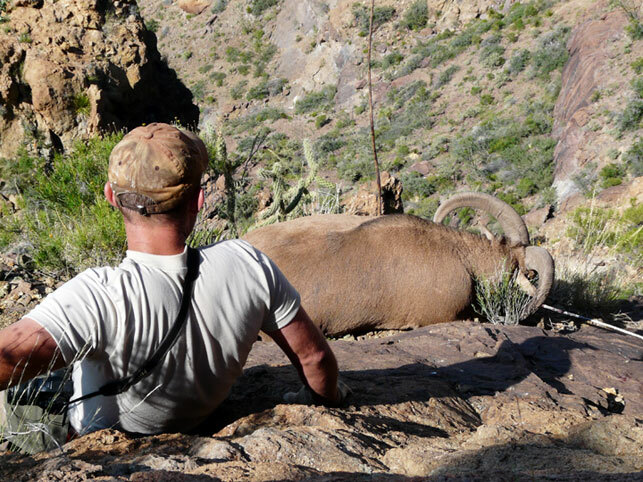 Free range aoudad sheep hunting is within grasp of most client budgets, yet giving the gratification of most other regional or international sheep hunts offered in today's hunting environment. 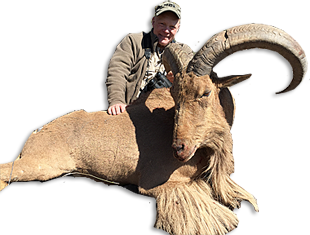 Come see how and why we are harvesting some of the largest free range Aoudad Sheep in Texas and are the most recognized in the industry. 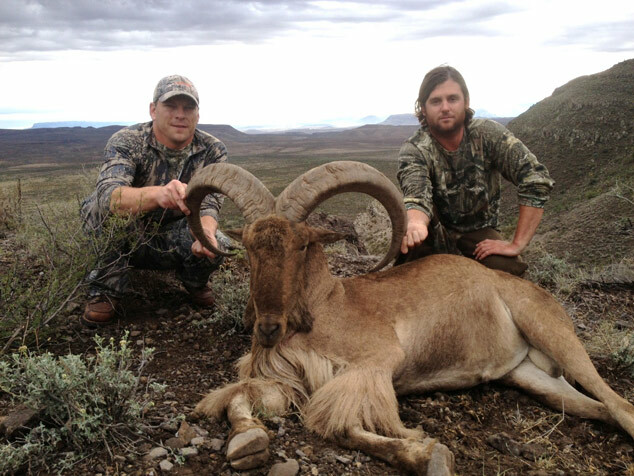 Our clients average 30" rams with 100% shooting opportunities. 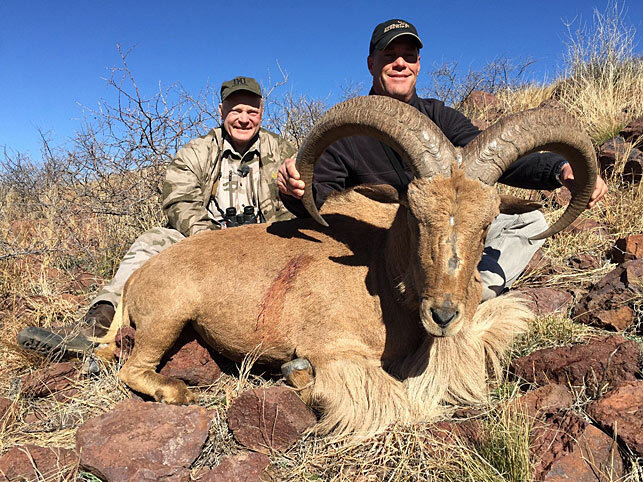 This is one of the most underrated hunts in North America at a fraction of the cost of any other sheep hunt to be found anywhere in the world. 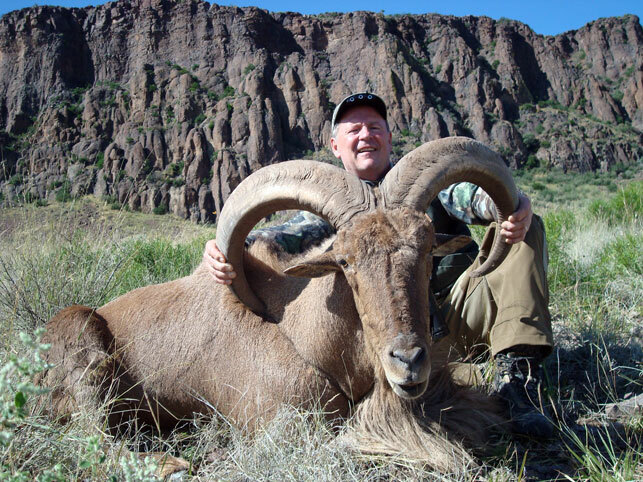 Our sheep hunts have been featured on 7 television shows including Boddington Experience, Petersons Hunting, Jim Shockey's Hunting Adventures, LL Bean Guide to the Outdoors, Hunt Masters, Limbsaver Outdoors and Modern Arms Adventures in addition to over 60 magazine articles worldwide. 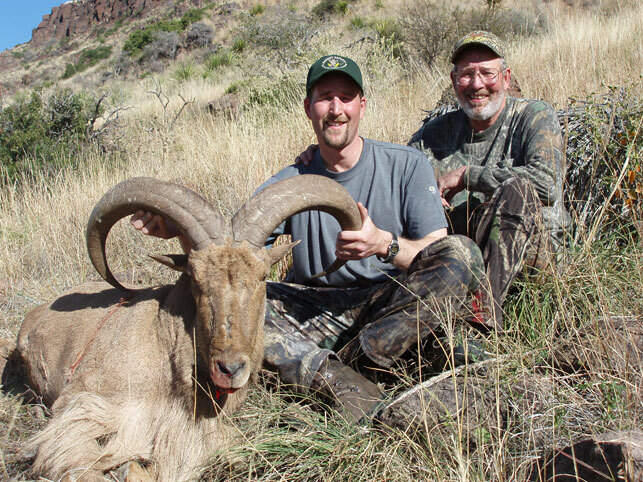 We have successfully guided over 500 clients to trophy rams since 2001 and have one of the longest standing names in the business since 1994. 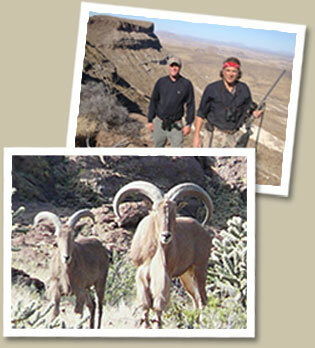 Give us a call and let us book you on the sheep hunting trip of a lifetime. 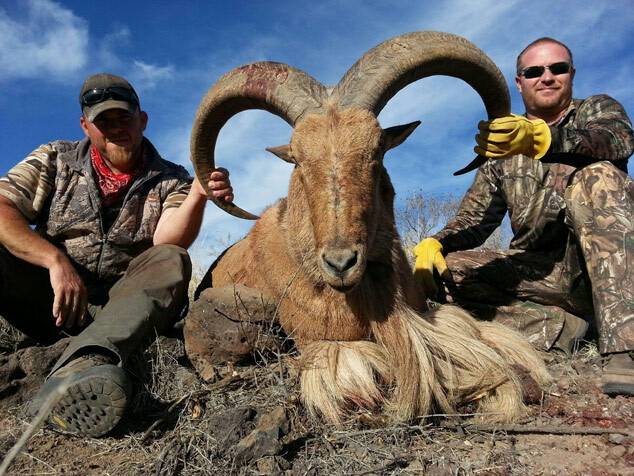 Most hunts are conducted September through March with October being "full rut". Contact us for a current reference list or to consult with us about physical preparation and limitations for this trip. 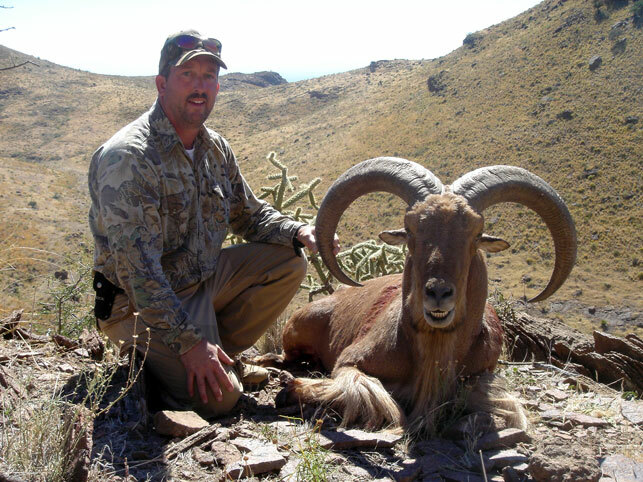 Experience the free-range hunting difference - 100% fair chase aoudad sheep hunting with Desert Safaris. 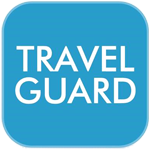 We are ready to provide you with the professional service you deserve backed by experience, dedication and hard-earned reputation. 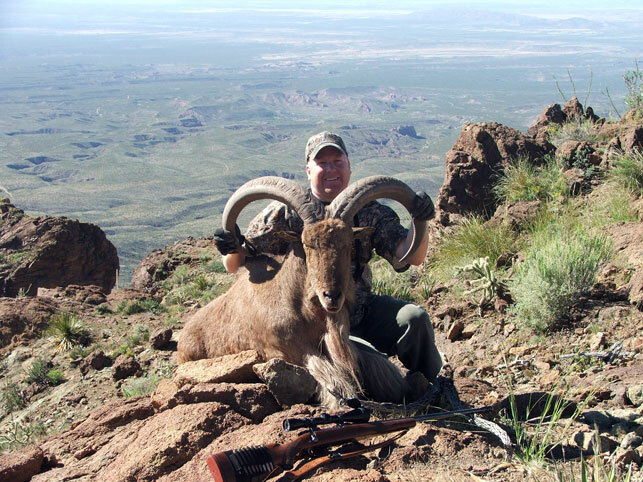 Hunting clients that arrive by commercial airline will fly into Midland or El Paso, TX depending on the sheep hunt location. There is a two to four hour drive from the airport to hunting camp. 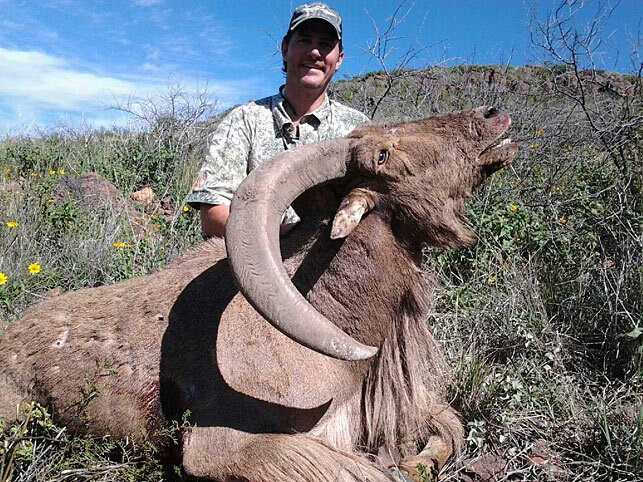 "I just finished the best aoudad sheep hunt I've ever been on - Hunter Ross showed me more sheep than I’ve ever seen and we took the best ram I have ever harvested. 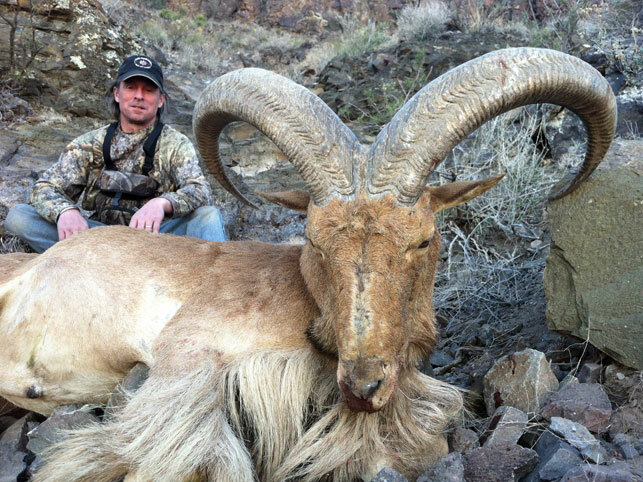 This is saying a lot- I’ve got a thing for aoudad hunting! 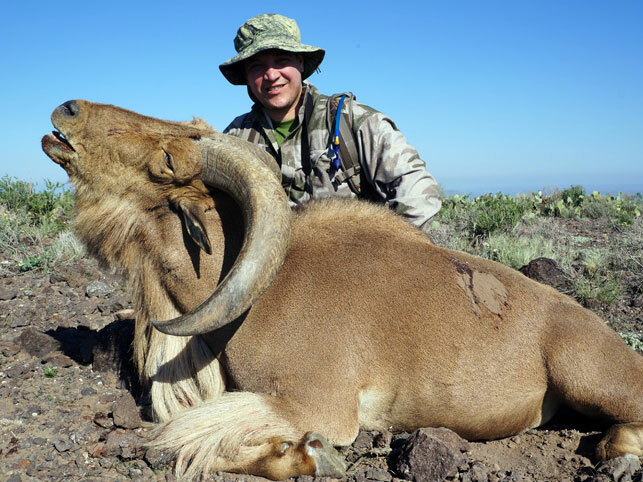 Having hunted them free range in Spain, South Africa, several ranges in West Texas and native range in Chad. 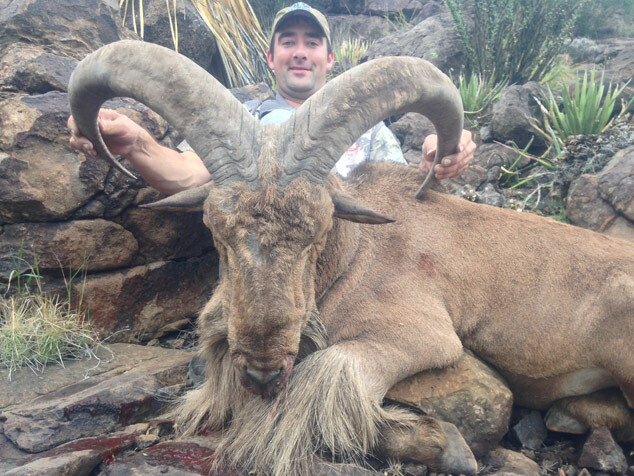 I personally saw over 300 sheep during our short hunt with Desert Safaris with ten rams in 30” class or better. 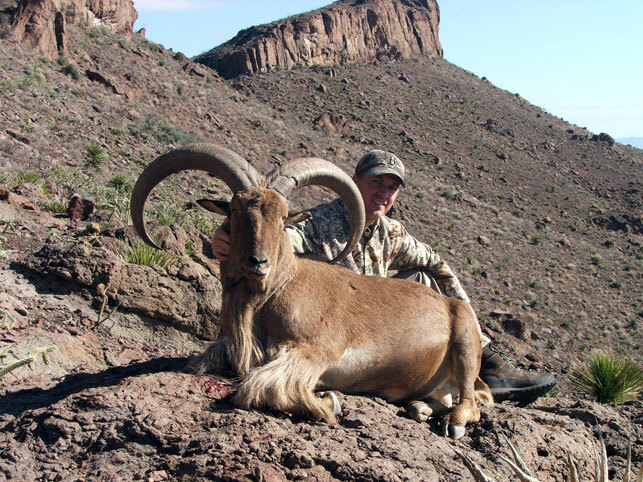 Until now my best ram was with Hunter several years ago, but this grand old warrior will be hard to beat. Of course, we’ll have to try! 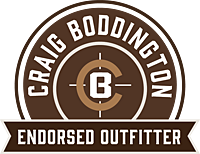 Great hunt, great country, great camp and super outfitter. 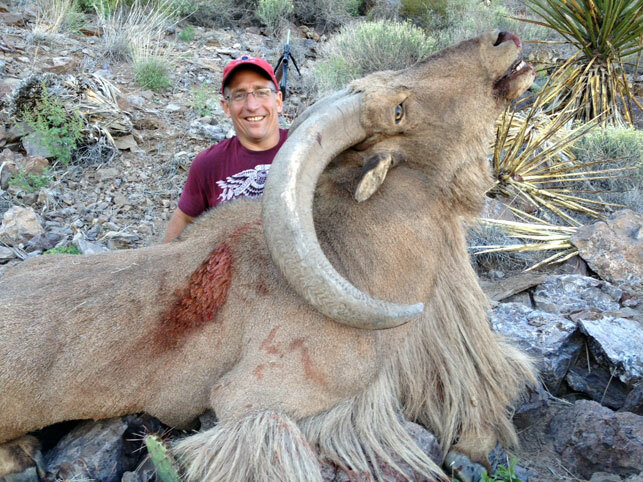 Well done Desert Safaris...you have outdone yourselves again."